Putting in the ‘F’ 4-t!! OK – so I had planned to do something a bit different today but I never quite got round to it…tomorrow perhaps!!!! 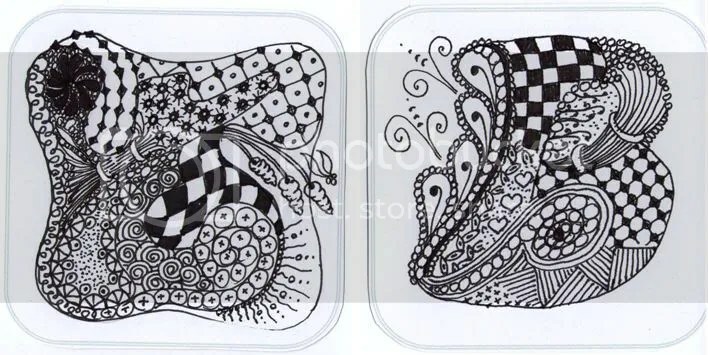 And so I continue with my zentangle quest – to do every letter of the alphabet and the numbers zero to nine as a zentangle design during the month of February. Today is the turn of F and 4. Tomorrow – life permitting – I will try to do something different for a day or so! 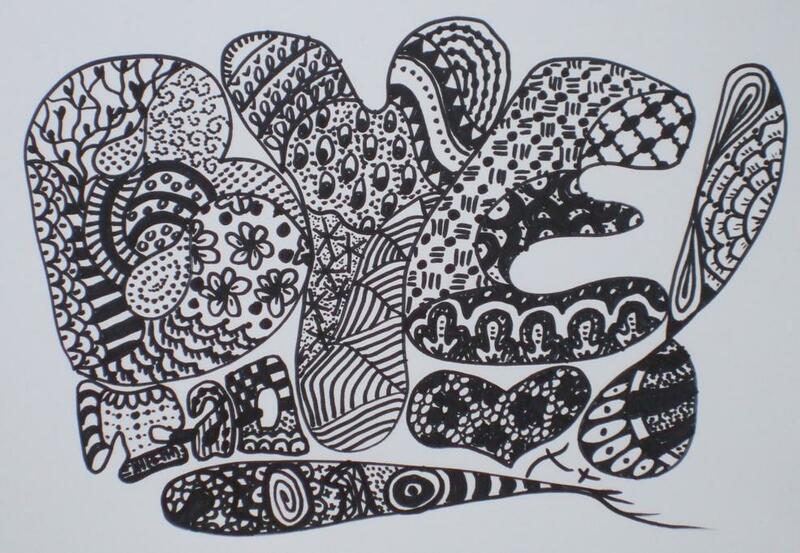 After a bit of a rest from all the frenzy of Thing-a-Day I have been having another look this week at Zentangles. I have been doing lots of research and looking at other peoples tangles and slowly working out how to do the basic designs. 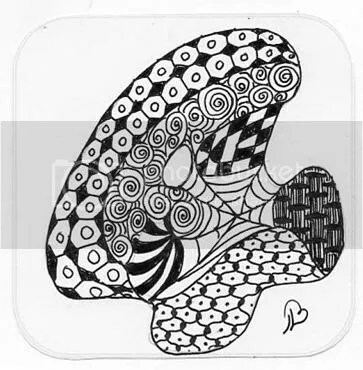 There are some step-by-step instructions on the newsletters at the Zentangle site and a great blog called Beez in the Belfy that show detailed instructions on how to do it. I really am enjoying it. It gives you a real buzz – or should I say a ‘tangle tingle’ to be able to produce something that looks so intricate and yet it is so easy to create, as the inventors of the system say, ‘one stroke at a time‘. And it certainly is a great way to relax. 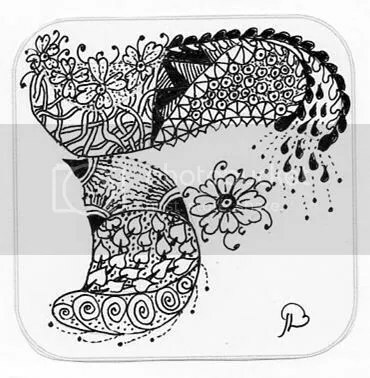 I started off with an abstract pattern and then moved onto doing an initial of my name….B. Then I thought I would do one for each of my children…so these are my daughters’ initials…V and D.
And then these are for my sons…A and J.
I’ve got pages and pages of doodles and splodges in my sketchbook trying to remind myself of the different designs…and even a couple of designs that I think I have developed myself…like the little patch at the top of the D which was inspired by a button back sofa on an antiques programme on the television!! Having done 5 letters of the alphabet I will endeavour to get the rest of the alphabet done over the next few days. I will need some form of relaxation as the week progresses as I have 3 cakes to get decorated for the 13th, the 15th and 16th of March and I will have to start working like a mad woman on Wednesday to get them done on time! 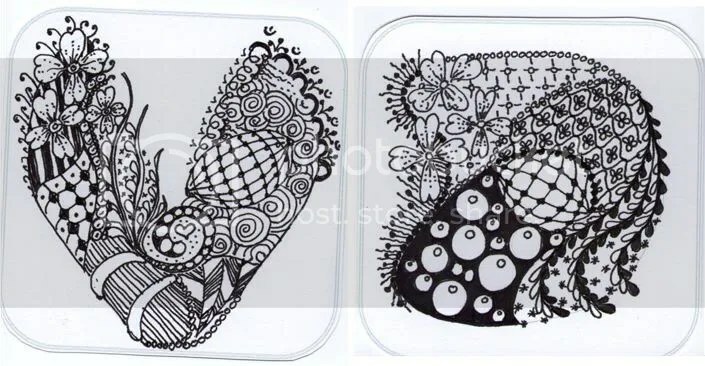 Anyway – I hope you like my Zentangles! !